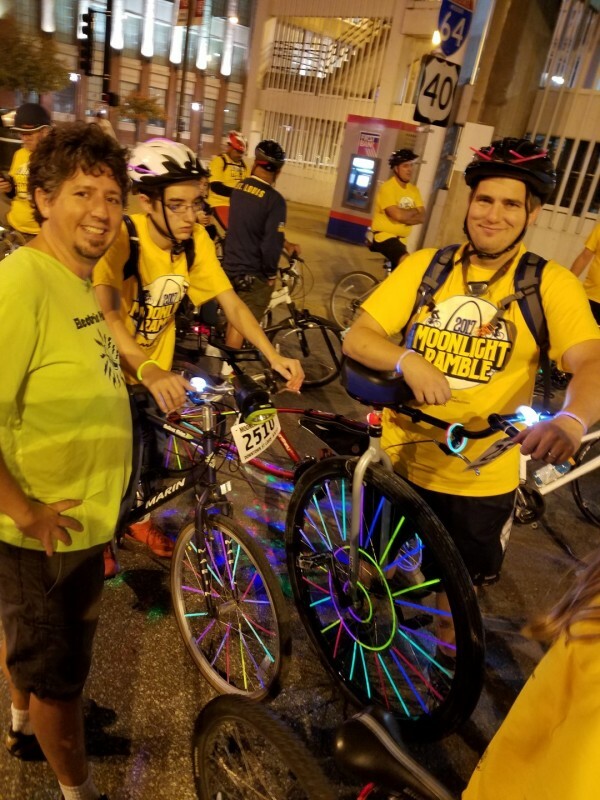 We participated in our first Moonlight Ramble this year. 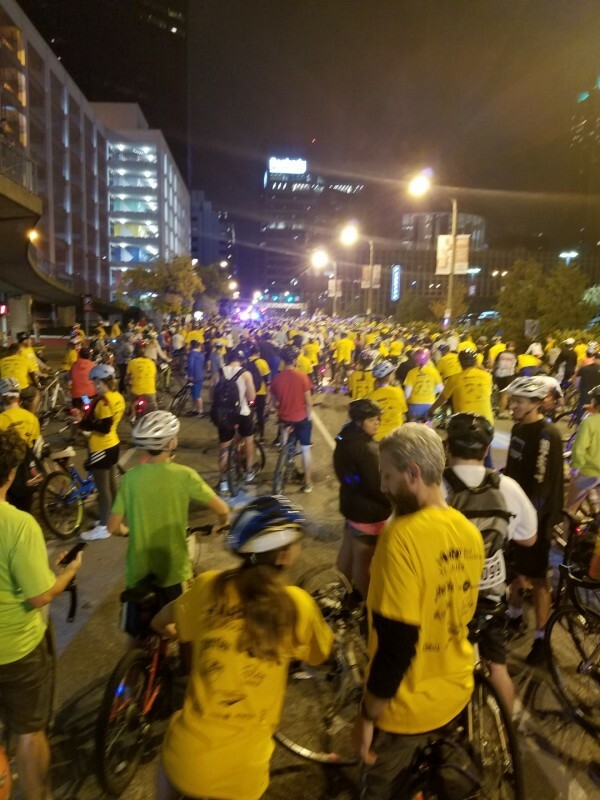 Its a 10 to 20 mile bicycle (and now unicycle) ride through downtown St. Louis starting at midnight. The original date for the ride was while we were on vacation but due to weather concerns, it was postponed. It got postponed twice more due to political unrest and rioting for the Jason Stockley verdict. Eventually the event happened though Sonora was on a Girl Scout camp out and could not join us. 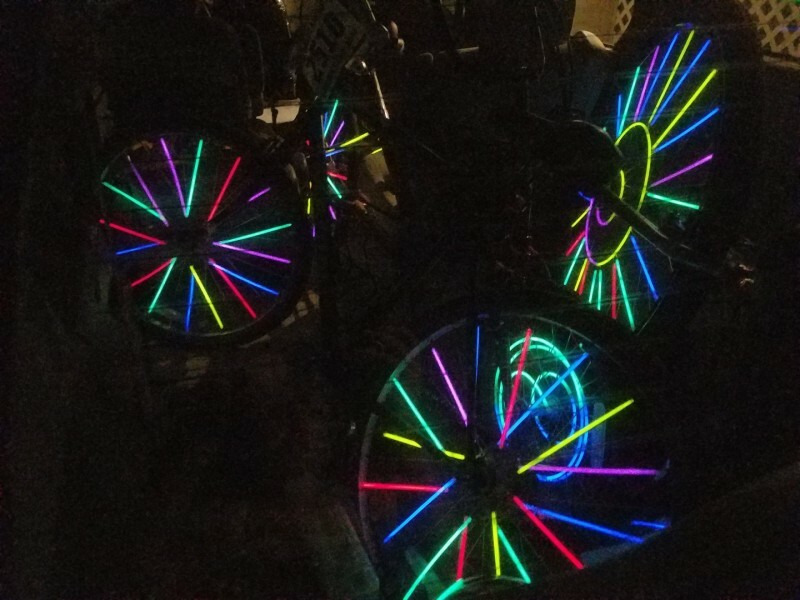 In order to be ready for the Moonlight Ramble, we had to decorate the two bikes and one unicycle for the trip. I prepared early purchasing 1,000 glow sticks online. We only used about 10% of them, but it had the desired effect! Once we got to the ride, we walked around to find a nice place to start. 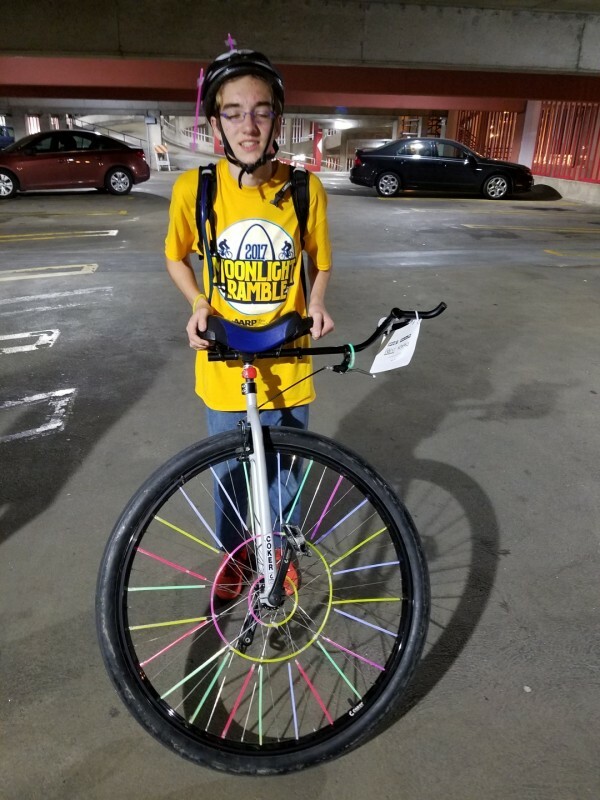 I received a lot of looks for pushing around a giant unicycle. We ended up finding Dave from our volleyball team and hung out with him and his family. Once the ride started, it became clear to me that I would have to wait to the end. 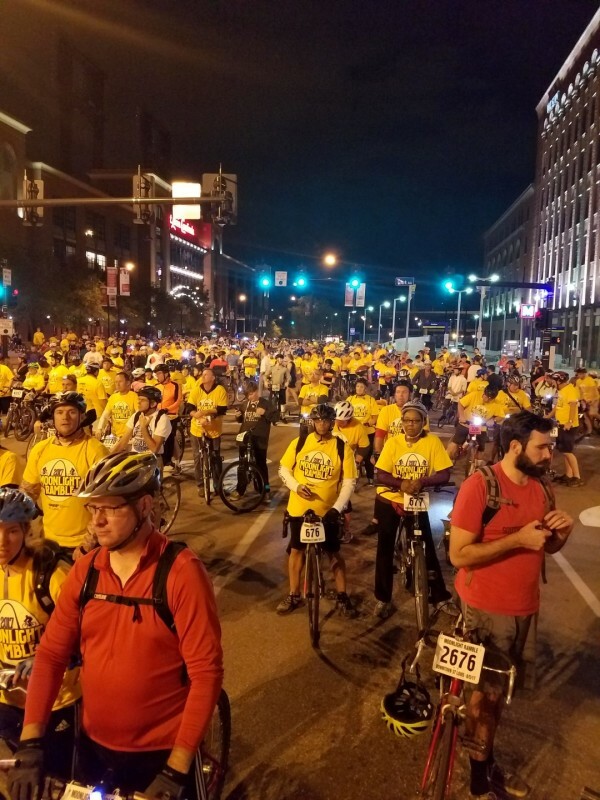 With a group of around 10,000 people, it started and stopped a lot in a short period. This made it difficult to mount and dismount and I decided to go to the side and wait for the crowd to pass. That meant that Danelle and Corvin went ahead without me. Within a half mile of the start, I stopped to help somebody pump up their tire (good thing I carry a pump). I eventually got into a rhythm as the crowd thinned out. I would pass most people going up a hill and be passed by the same people as they coasted back down the hill. 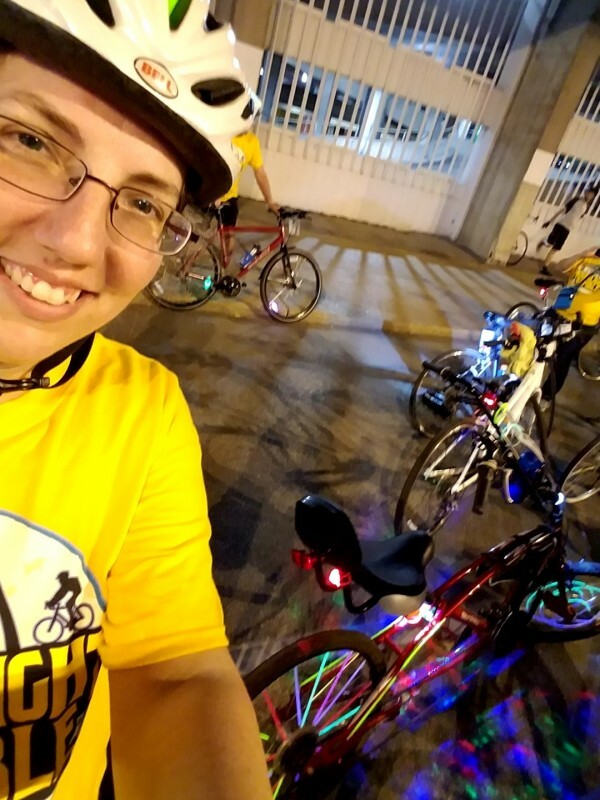 It was a hard long ride, but fun to be out and see so many people smile! 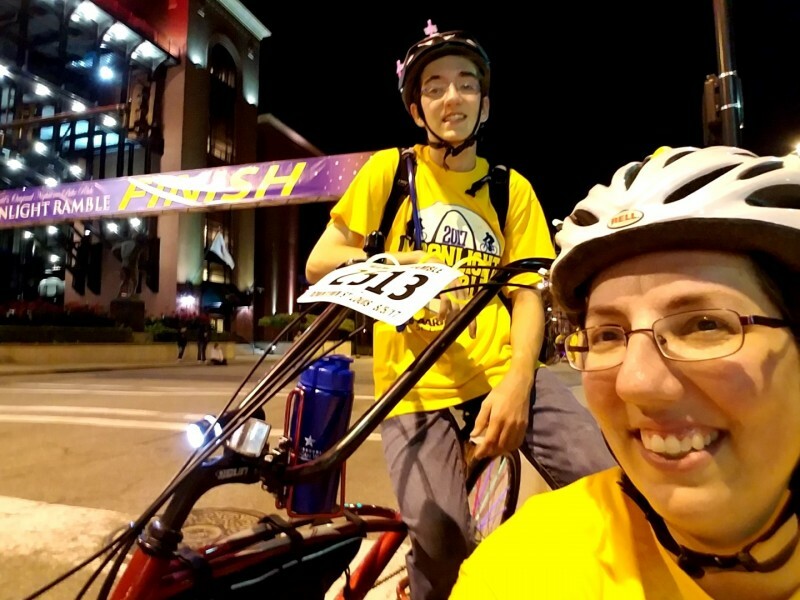 Here is a video I took in the middle of the ride on the unicycle followed by Corvin and I finishing the ride. I would like to say that we stayed for the after party, but Corvin and Danelle had already taken naps earlier in the evening and we were all beat! 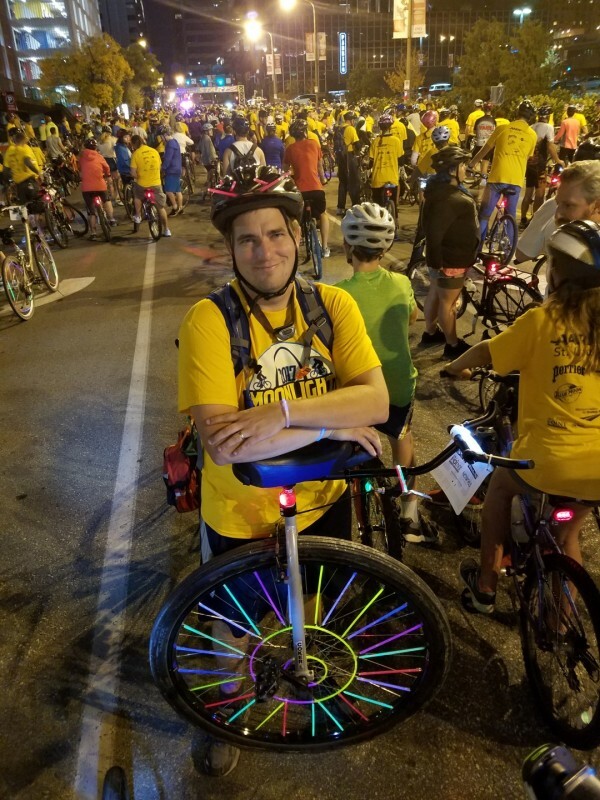 This entry was posted in Family, Unicycle and tagged Corvin, Hogan, Moonlight Ramble, Sonora. Bookmark the permalink.